For their part, the British also had a strong interest in ensuring the demise of Spanish colonialism, with all the trade restrictions mercantilism imposed. 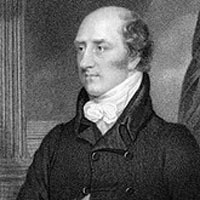 Earlier in 1823 British Foreign Minister George Canning suggested to Americans that two nations issue a joint declaration to deter any other power from intervening in Central and South America. Secretary of State John Quincy Adams, however, vigorously opposed cooperation with Great Britain, contending that a statement of bilateral nature could limit United States expansion in the future. He also argued that the British were not committed to recognizing the Latin American republics and must have had imperial motivations themselves. The bilateral statement proposed by the British thereby became a unilateral declaration by the United States. As Monroe stated: “The American continents … are henceforth not to be considered as subjects for future colonization by any European powers.” Monroe outlined two separate spheres of influence: the Americas and Europe. The independent lands of the Western Hemisphere would be solely the United States’ domain. In exchange, the United States pledged to avoid involvement in the political affairs of Europe, such as the ongoing Greek struggle for independence from the Ottoman Empire, and not to interfere in the existing European colonies already in the Americas. 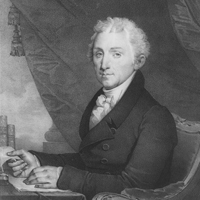 By the mid-1800s, Monroe’s declaration, combined with ideas of Manifest Destiny, provided precedent and support for U.S. expansion on the American continent. In the late 1800s, U.S. economic and military power enabled it to enforce the Monroe Doctrine. The doctrine’s greatest extension came with Theodore Roosevelt’s Corollary, which inverted the original meaning of the doctrine and came to justify unilateral U.S. intervention in Latin America.